My name is Lisa Komatsubara, and I’m from Auckland, New Zealand! As a child, I grew up owning a traditional Japanese Kendama, and funnily enough, I actually thought it was a boring toy because all I could do with it was cups and spike. 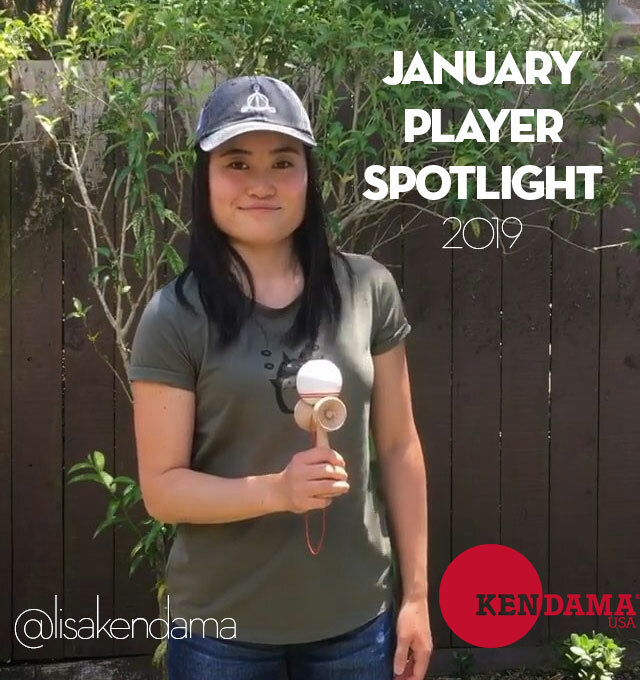 In 2016, I met Joe & Todd from @kumafilms and they showed me that you can do so much more with a Kendama! They taught me how to do Airplane and Juggle, and that’s how I fell in love with Kendama! I literally practiced only those 2 tricks for a few months, then I played on & off then only occasionally. It wasn’t until August 2018 that I decided to start practicing properly and introduce myself to other tricks. Since then, my love & passion for Kendama has been growing bigger & bigger! When I’m not playing Kendama, I’m either juggling, capturing photos & videos, painting, or doing anything creative! Lisa’s progression is inspiring! Be sure to check out her feed and practice!